Salut! Tom’s here today bringing you this post that goes hand in hand with the one I wrote recently on 45 Things an American thinks when visiting France for the first time. For those of you who are new around here, Tom is my French husband who first visited NYC in 2009. 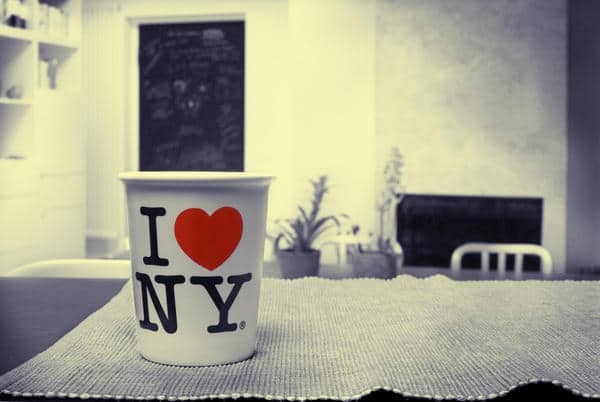 I think he loves New York City as much as I do, but upon visiting it for the first time, some of the things he encountered were definitely in the culture shock category. 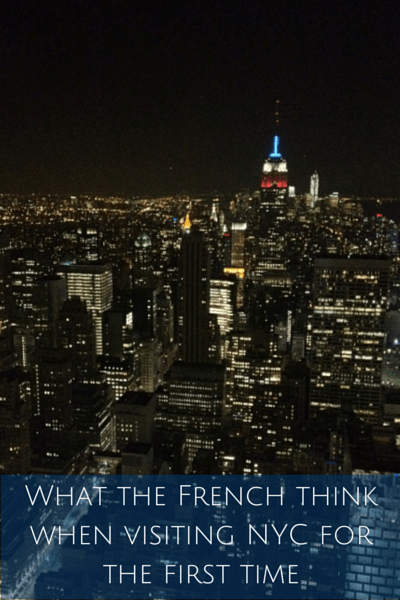 For your reading pleasure, he’s put together 45 things the French think when visiting NYC for the first time. 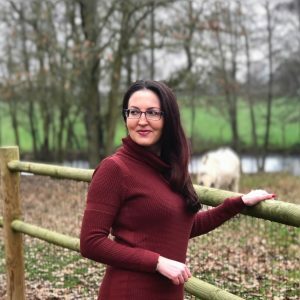 So read on for the post! Here’s Tom’s take on what French people think when visiting New York City (and the surrounding area) for the first time. This post, like mine, is all in good fun, so read it, laugh and share it! 1. The media was wrong. There really aren’t that many obese people here! 2. Oh, now I see why everyone picks up after their dog. 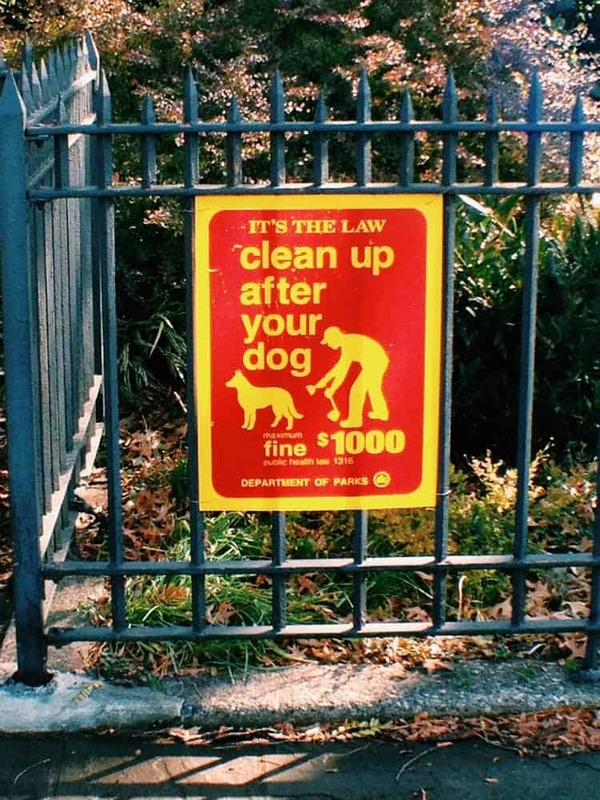 The fine is $1,000! 3. WOW, Times Square!!! I feel like I’ve been here before. Looks totally familiar. Oh wait, that was just in a movie. 4. Where is my small drink? That huge bucket is a small drink? 6. About that, how much of a tip do I leave after my meal? 8. Where is the dessert menu? 9. What is that line for? Are they giving free coffee at Starbucks? 10. That’s what you call an espresso? 11. Is there a dress code for Sunday morning if you want to go to Starbucks or Dunkin’ Donuts? Seems like you need a hoodie and sweatpants. 12. Why do they put ice in water and then keep refilling it? I just asked for water, no need to put ice in it! Maybe winter was a bad time to come. Isn’t it already cold enough outdoors? 13. It’s summer and I get it’s hot but it feels like winter indoors. It’s 33 C outdoors and I’m here with a jacket on at the movies. 14. What? The taxi’s smallest tip option when paying with a card is 25%!!! WTF? 15. Look at that, we’re all waiting patiently in line single file until the cashier calls us. And Americans respect that? 16. Cops are always alone in the car! Where are their friends? 17. My new friend invited me for dinner at 6:30 p.m. What time are they going to bed? 18. These toilets flush funny and I watch everything go around in a circle before it disappears. 19. Trader Joe’s is awesome! 20. Oh they actually check and validate your train ticket to the suburbs? Thank god I bought one! 22. Gosh the commercials are so annoying. Am I watching a movie or just a string of commercials with a glimpse of a movie in between? 24. Gas is cheaper if I pay with cash and more expensive with a card? Weird! 25. 55 mph… hmmm, is that fast? 26. Do they ever wash their cars themselves? 27. Wow, I drove all the way from NYC without ever paying any tolls! Well, no wonder why the road is all covered with potholes! 28. Those license plates are funny! 29. Why doesn’t anyone know how to parallel park? 30. Damn their cars are big! 31. Good to know I’m not the only one with an accent here! 32. Why do you ask me where I’m from? Do you want to sell me something? 33. I can buy my Advil at the supermarket?? 34. Target is pretty cool! There’s no one here! It’s a Sunday. And they’re open! Til midnight! 35. $145 for the prescription zit cream? You’re kidding, right? And it’s “cheap” because it’s generic! 36. $60 for just a visit with the GP, right? You’re sure it wasn’t the surgeon for that price? 37. Why does this guy have 10 dogs on one leash? 38. At work, you only get 30 minutes for lunch? 39. Ah, what’s the value of that coin? And that one? I give up, why don’t they put the value on it? 40. My pocket is full of bills but I only have $10 total. 41. Why am I not paying the price that was on the tag once again… oh yeah, state sales tax. And it’s not on everything? What a confusing rip off! 42. What, the tax is different in NJ? I didn’t pay that yesterday across the river. So confused! 43. Americans sure do like to hug. Oh no, if you hug me, what do I do? Where do I put my hands? Ahhh! 44. Everyone is so patriotic. I’ve never seen so many flags in my life! 45. New York is AMAZING! Anything you’d add? Can’t wait to hear from my French readers on this one! 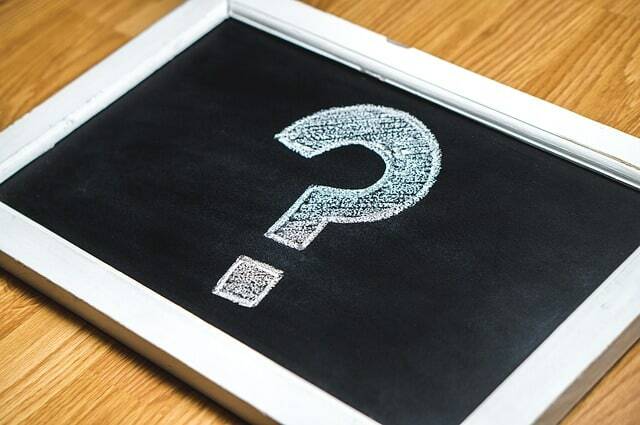 And if you want more from Tom, he has his own column here called Ask Tom Tuesdays, where he answers your questions about all things French. Read it here! 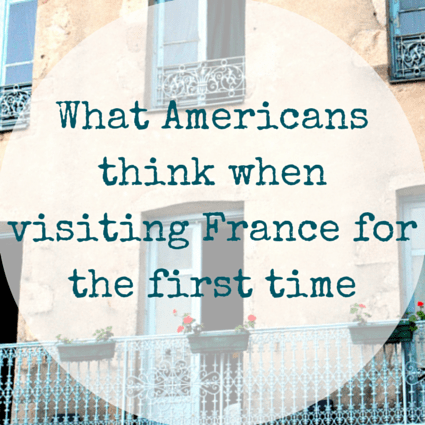 45 Things Americans think when visiting France for the first time June pics of the month: New York trip New York, New York: The same place I love except for one thing Questions French people ask me… all the time! 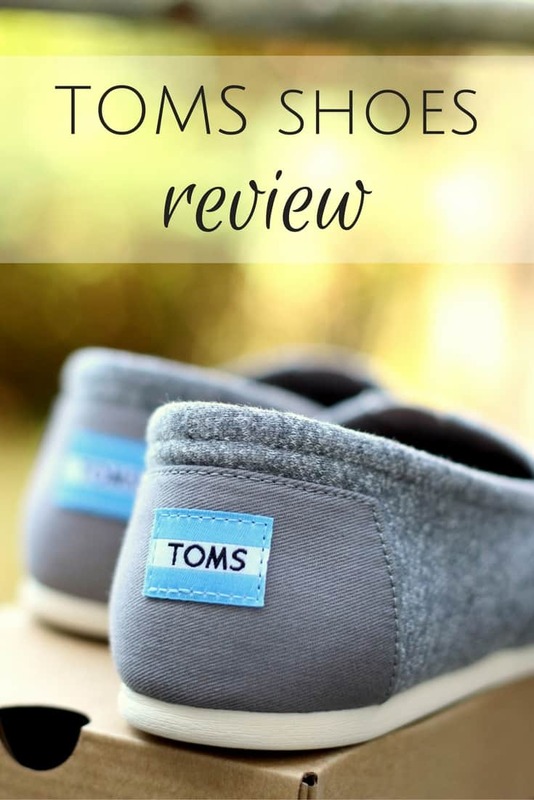 Review: Are TOMS shoes worth it? Very fun! Thanks for sharing this! Glad you enjoyed it, Alan! Hope all is well! 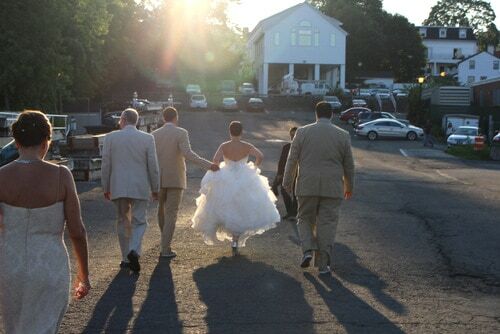 Hahha, very typical! I guess Americans aren’t night owls at Christmas. We usually open gifts Christmas morning and then prepare a lunch/afternoon meal for family so the main meal is over early. No partying into the night in the US! Yep, Tom, you hit this squarely(!) On number 10, what was wrong with the espresso? He can respond to this but I think the US espresso, at least from chain places, tends to be served in a big cup and is weak. But maybe he just hasn’t gone to the right coffee shop yet to get a good one! Glad you liked it and didn’t get kicked out of the library. Yes, unfortunately there’s dog poop everywhere here although people are getting better about picking it up. And I must say that French highways are very smooth, rarely any potholes. But I guess when tolls are so expensive you’d expect nothing less! Thx for stopping by! Hahaha! My bf and I will be taking his first trip to the US( NYC too) this summer, I wonder what his first thoughts will be! Oh, you’re going to love it! I’m sure you’ll have a few little culture shock moments but NYC is the best city in the world. You’ll see… Enjoy!